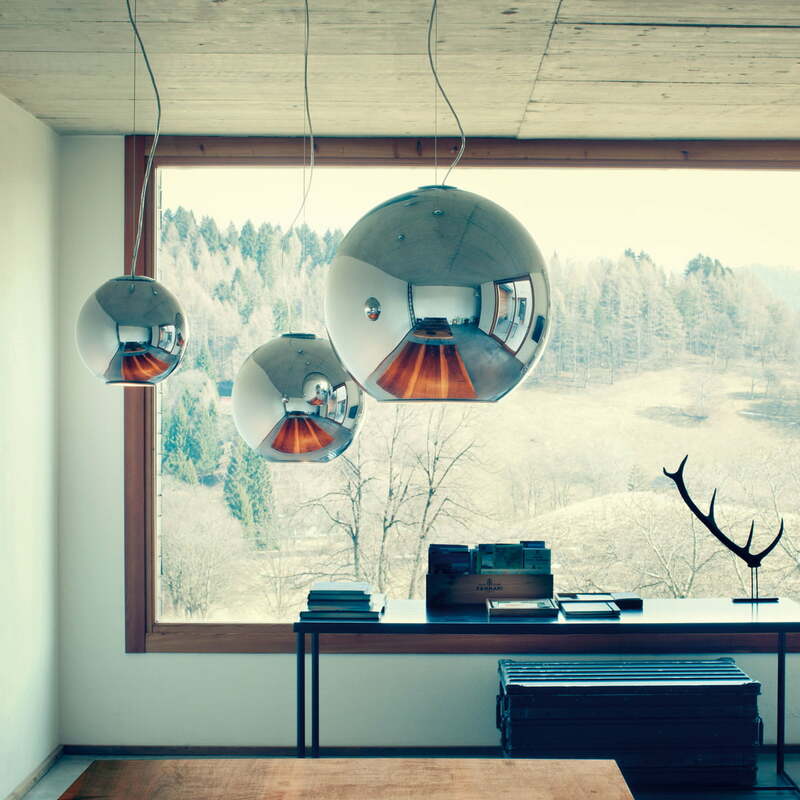 Spherical pendant luminaire made of metallized glass with shiny copper look. The opaque diffuser reflects its surroundings and illuminates the base directly and pointedly. 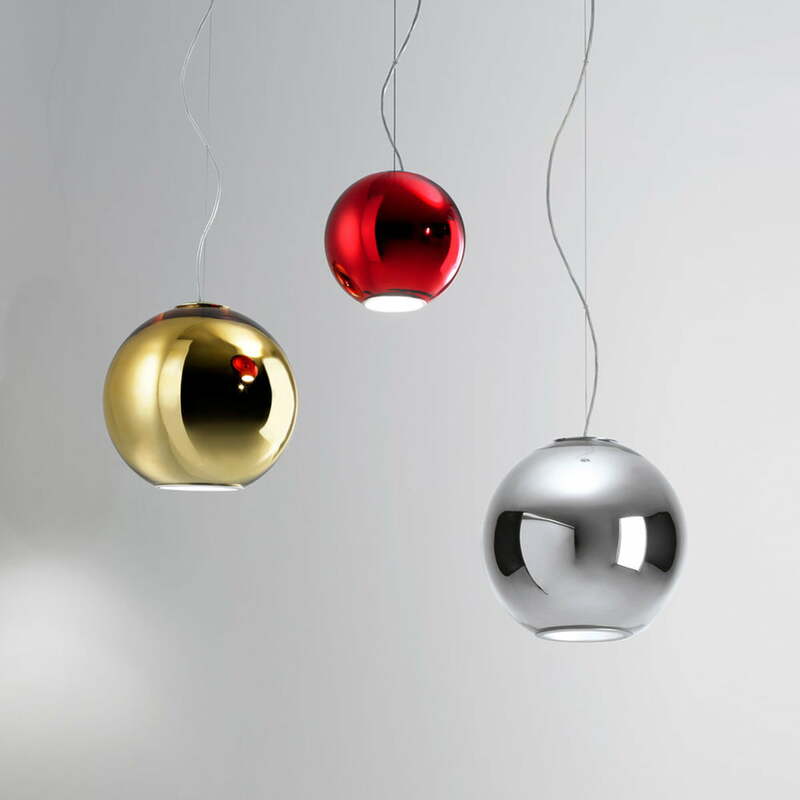 Ideal for the illumination of the dining table, desk, or other areas. 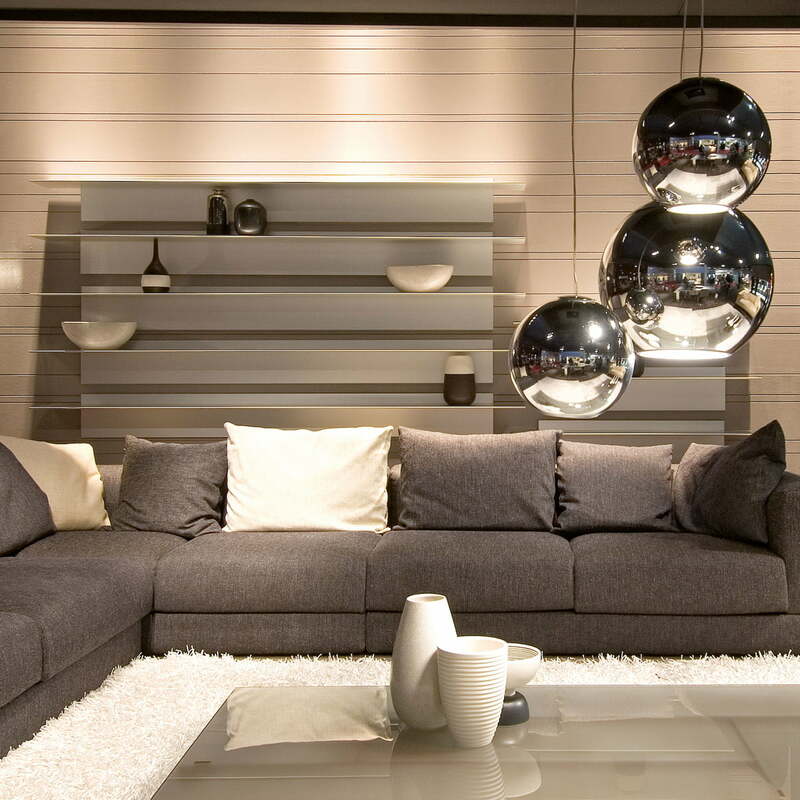 The design of the "light globe" comes from the Italian Roberto Menghi, who already designed the charming lamp in 1968. The retro design exudes the charm of the 60s and convinces with a timeless elegance at the same time, with which the light is still a real eye-catcher today. 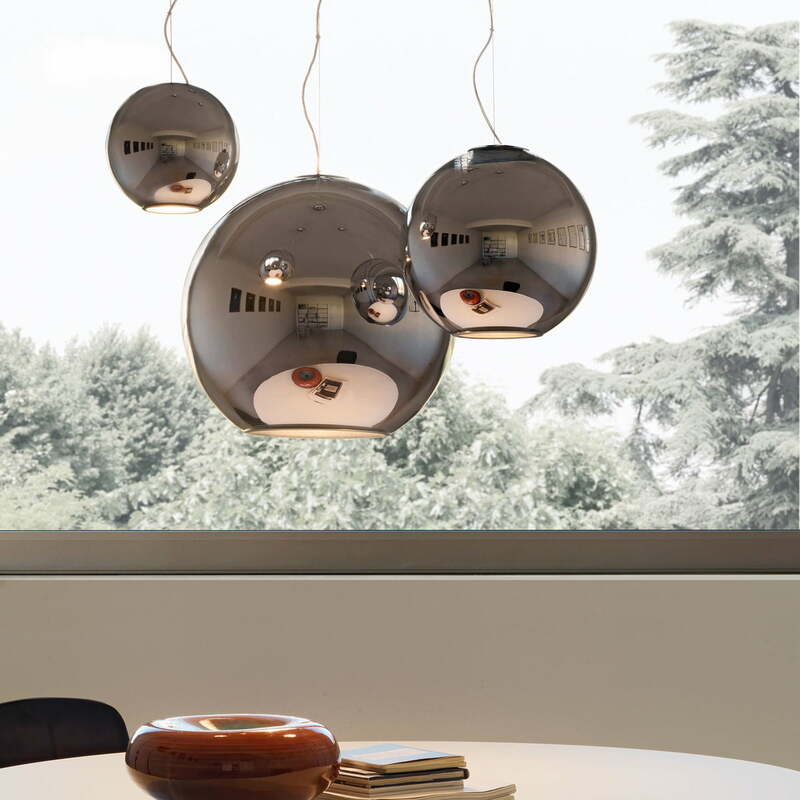 The Globo di Luce pendant lamp is also an astonishing piece of design when it is not powered. 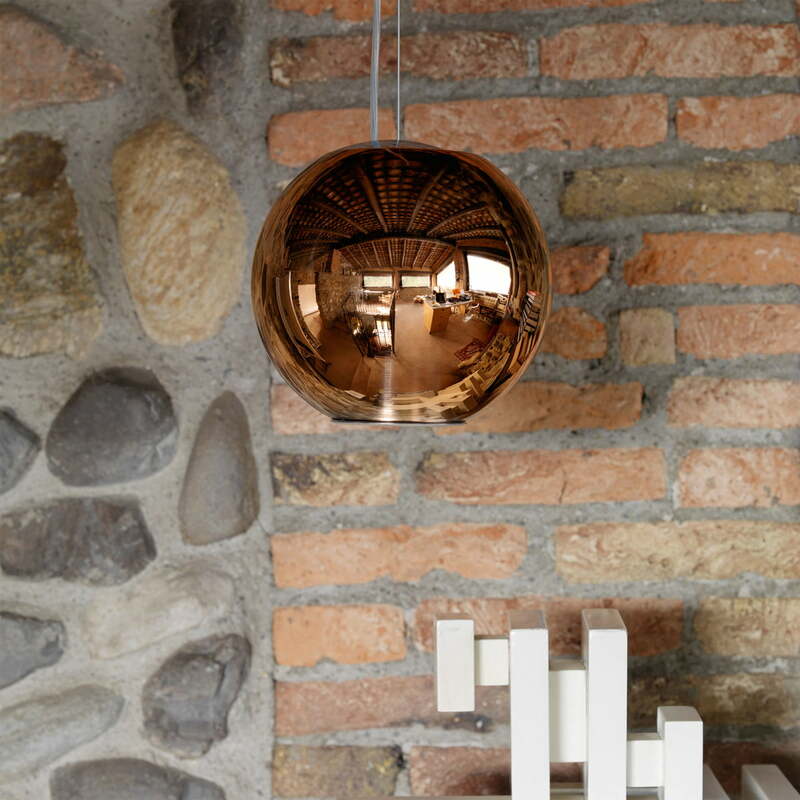 The polished copper surface reflects the surface and ensures versatile light effects and mirroring of the surroundings, being especially impressive in a group of several spherical lamps. and as copper edition, in different sizes.